LONDON (AP) — An iceberg four miles (six kilometers) long has broken off from a glacier in eastern Greenland. 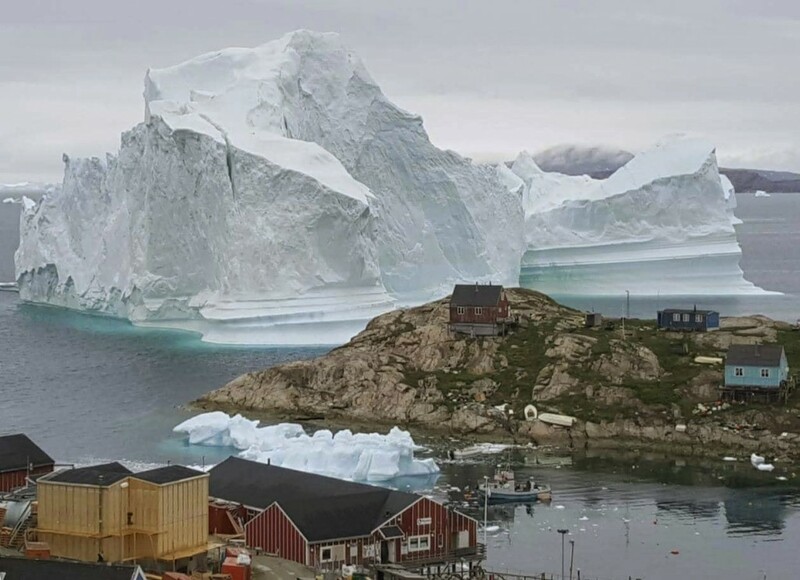 New York University professor David Holland, an expert in atmospheric and ocean science, has told The Associated Press that "this is the largest event we've seen in over a decade in Greenland." A June 22 video of the incident was taken by his wife, Denise Holland of NYU's Environmental Fluid Dynamics Laboratory. They camped by the Helheim Glacier for weeks to collect data to better project sea level changes. Holland said Wednesday that the time-lapse video, speeded up 20 times, shows "3 percent of the annual ice loss of Greenland occur in 30 minutes." He said that "the real concern is in Antarctica, where ... the stakes are much higher."